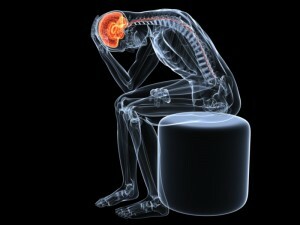 A migraine refers to a specific type of headache: this headache is a unilateral (one sided), pulsating, or throbbing headache that lasts anywhere from two to four hours, and can be associated with an “aura” of associated symptoms, such as nausea, vomiting, photophobia (sensitivity to light), and transient neurological symptoms. This pain is typically recurring, and can be associated with specific triggers that the patient can identify. The headache from migraine is also aggravated by external stimuli, such as loud sounds, bright lights, and physical activity. Migraine affects a significant portion of the global population, going as high as 15 percent in some estimates. The prevalence among women (19 percent) is significantly higher than that among men (11 percent). The cause of migraine has many theories. Some researchers point to the increased excitability of the cerebral cortex and abnormal firing of pain neurons in the trigeminal nucleus. Changes in serotonin levels have also been observed, and these can cause spasms and dilations of t he blood vessels in the brain, causing the headache. 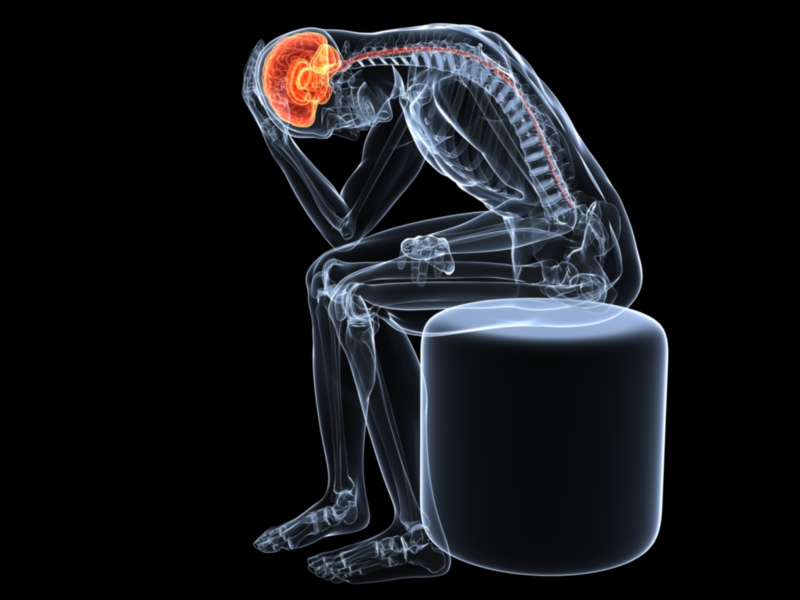 Hormonal changes, food, environment, and emotional stressors have also been implicated in triggering migraine. Typically, migraine is managed using medications, such as painkillers. There is a stepwise progression in painkillers, with non-steroidal anti-inflammatory drugs (NSAIDs) being prescribed prior to opioid analgesics. Prophylactic medication with topimarate, propranolol, metoprolol and sodium valproate have been shown to reduce the frequency and severity of attacks for those with chronic migraine. One of the more recent novel interventions for treatment of migraine is the injection of Botulinum toxin type A, or “botox” as it is colloquially known. Botox is a purified form of neurotoxin that is produced by the bacterium Clostridium botulinum, which works by interfering in the transmission of signals between the nerve and muscle. Botox causes local muscle paralysis, and its use in dermatologic procedures to smooth out wrinkles is widely known. Researchers have found that injections with Botulinum toxin are effective in reducing the frequency of headaches, as well as significantly improving the patient’s quality of life. This seems to be the best application for Botox, as it has not been shown to be better than placebo in the treatment of acute headaches. The FDA has approved Botox injections for chronic migraine treatment. This provides the ability to reduce the frequency and severity of migraine headaches. The injections take about 20 minutes and involve 30 injections. They can be repeated every few months, and the results are typically excellent. The injections have been proven to be generally well tolerated by patients, with neck pain appearing in 9 percent of patients. Other side effects of the injections include itching, pain in the injection site, as well as muscle aching, tightness, or spasms. Botulinum toxin causes local muscle paralysis. This relaxation of the muscles around the head may reduce blood pressure within the brain. It may also decrease muscular spasm, a possible cause of the headache. Botox works is still not suggested as a first-line therapy. It should be reserved until initial therapy with oral medications has failed. The Board Certified Las Vegas pain management doctors at Nevada Pain offer cutting edge treatments including radiofrequency ablation, spinal cord stimulator implants, several types of epidural injections along with the Botox injections. Over 50 insurances are accepted at Nevada Pain and there is both a Las Vegas pain clinic and a Henderson pain management center. Call (702) 323-0553 for more information and scheduling with a headache clinic Las Vegas trusts!